Rag & Bones is a volunteer run space which means nobody gets paid. So we will be closed on Saturday, August 24th, while we are at our real jobs. Sadly we live in capitalistic times, where money is the currency, not community fullfillment. 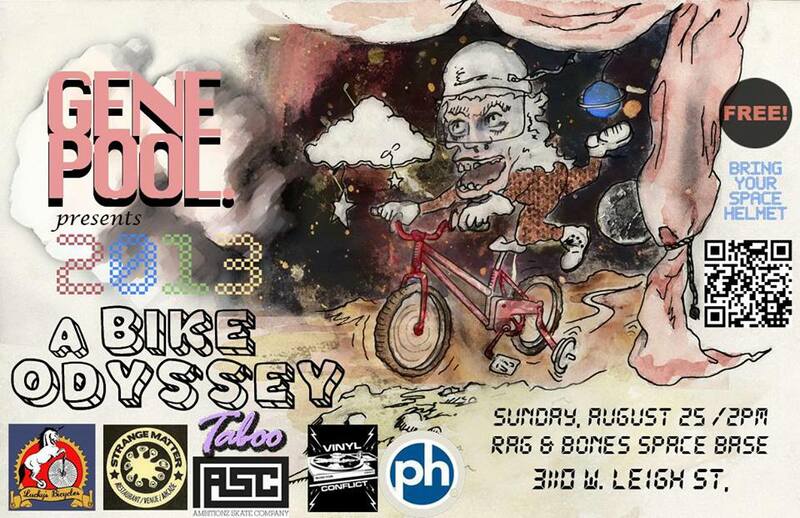 However, on Sunday August 25 The Gene Pool (art collective) is hosting a Solar System Race. We will be open from 11AM to 2pm when the race starts!!!!!!!!!!! Come during those hours if you need a little help tuning your whip. Previous Post BBQ Meet, Greet, and EAT!!!! Next Post Monthly Bicycle Parade!